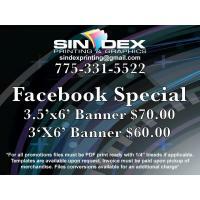 Sindex Printing and Graphics, locally owned and operated, has been serving the Reno-Sparks area with quality printing for over 20 years. This second generation print shop now owned by Sinnamon and Dexter (Sindex), can supply you and your business with all of your printing needs. We offer fast, courteous, dependable service, complete with a graphic designer, a professional staff, monthly discounts, delivery service and more. 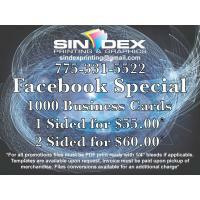 So the next time your business needs professional printing services, remember Sindex Printing. That is all you need to know, we’ll take care of the rest. Stop in and talk with our friendly staff (Sharon) and see the difference between us and the other guys. 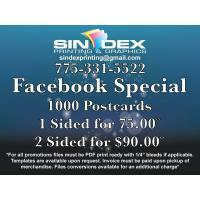 Join our long list of happy customers, you will be glad you came to Sindex Printing. If you are already one of our valued customers, we thank you for your patronage and we look forward to seeing you again soon.